Equal Life Foundation: NPO for Equal Rights -- or Money & Food for Destonians? Desteni finances are managed via a bank account with the name of 'Equal Life Foundation' (ELF). A Destonian running a blog called adriansjourneytolife left a strange comment in response to our post, Equal Money System Cult Scam, claiming that because ELF is a 'non-profit organisation' then it is impossible for it to make any profit. Clearly, Adrian has no idea of the extent of fraud and e-begging amongst 'non-profit' groups world-wide, many of which are cults or 'new religious movements'. Although he professes to be a Destonian, Adrian has obviously not researched the Desteni material. The income and property of which are not distributable to its incorporators, members, directors, officers or persons related to any of them. TO UNDERTAKE RESEARCH AND EDUCATION IN THE AREAS OF LEADERSHIP SKILLS DEVELOPMENT PSYCHOLOGY FOOD PRODUCTION AND MANAGEMENT. The Desteni group and all Destonians are representatives of Equal Life Foundation. Everything they do in Desteni is 'cool support' for ELF. ELF accepts donations for Desteni general, animal, plant and human 'research' but there is no evidence of any zoological, botanical, anthropological or any other kind of 'research' carried out by Desteni and no Destonian is qualified in these areas. All their material is based entirely around verbal or written pronouncements made by Bernard Poolman and Sunette Spies. This has been clarified by actual recordings made by Mr. Poolman and Ms. Spies. He is a self-confessed New Ager who claims he has renounced New Age religion yet has publicly stated that human beings were designed by Sumerian reptoid gods and that a waitress he picked up in a cafe, Sunette Spies, revealed this to him, after he formally employed her as an 'interdimensional portal' or 'upgraded channel' for his company to speak on his behalf. The ELF's 'research and education in the areas of leadership skills' and 'psychology' involves the Desteni I Process and Eqafe. The Desteni I Process is a Multi-Level Marketing scheme described as a LifeStyle concept that is simply achieving financial freedom slowly but surely. Being a recruiter qualifies you to receive a percentage from each course fee your recruit pays and means you'll earn 50% of her course fee and Get Monthly Commissions. Eqafe 'self-perfection merchandise' involves an Affiliate Program where you are able to sell and promote every product you buy, starting from the very first product you buy and earn 25% or 50% from the product price that is bought through you promoting the product. The ELF's 'food production and management' would come under the heading of the upkeep of the Desteni farm where the core group reside and where, as with most farms, they grow food to eat. It is not as though they produce food to feed the poverty-stricken or starving in South Africa or elsewhere. Clearly, the income and property of ELF is in fact distributable to its incorporators, members, directors, officers or persons related to any of them. Therefore, according to the definition of the Companies Act of the Republic of South Africa, the Equal Life Foundation can not be considered a legitimate Non-Profit Company. There are millions of people everywhere standing up for equality and equal rights. They are actively involved in the issues at stake. Just one example of the hundreds of real equal rights groups in the world 'as it exists in our current reality' would be the Equal Rights Trust. 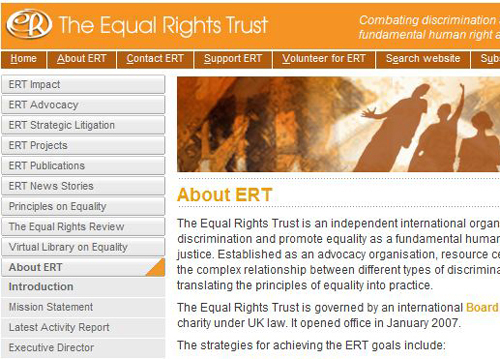 Desteni's 'Equal Life Foundation' is not any such 'equal rights' group. It is a New Age Channeling Cult formed around Bernard Poolman and Sunette Spies' pointless re-interpretations of New Age and occult philosophies. Equal Life Foundation is supposed to be for 'promotion and establishment of equal rights on a global scale' but no ELF representative -- that is, no Destonian -- actually helps establish equal rights on any scale. All they do is engage in online promotion of commercial business ventures of 'Desteni'. They try to sell t-shirts and 'self-mastery' courses. ELF appears to exist solely in order to manage finances of Desteni commercial business ventures and the Desteni farm and to generate an income for their affiliates, known as 'Destonians'. If by some stretch of the imagination this is not the case, then perhaps Adrian or another 'Destonian' would like to explain how or why ELF is not 'profit-making' when it involves recruiting people into an MLM scheme, earning monthly commissions, selling and making money from the sale of products and accepting donations to help feed ELF representatives...?